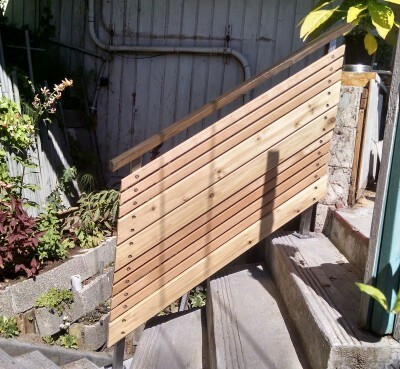 State Railing | Salty Bicycle Co. Here is a shot of a custom railing that was just completed. 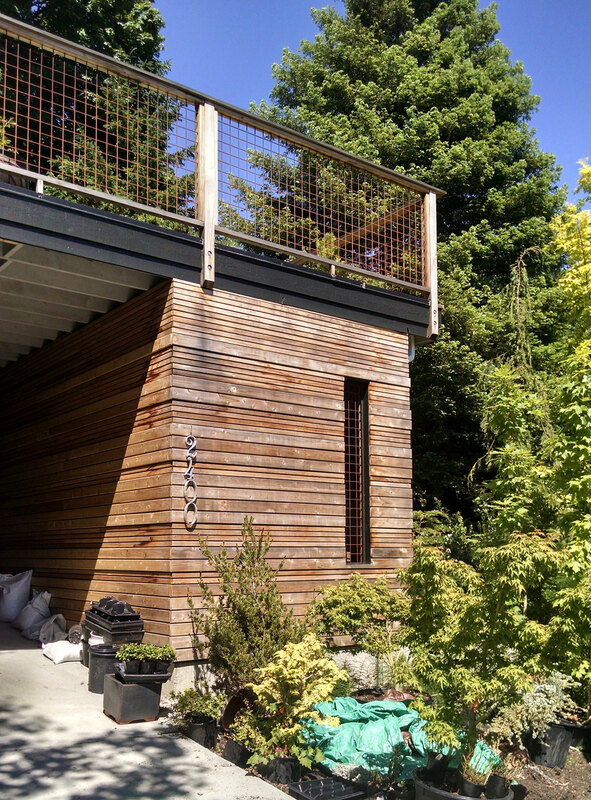 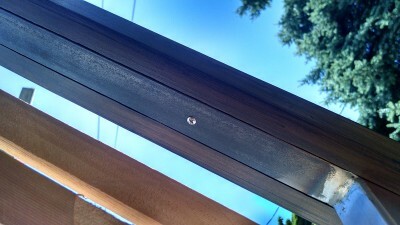 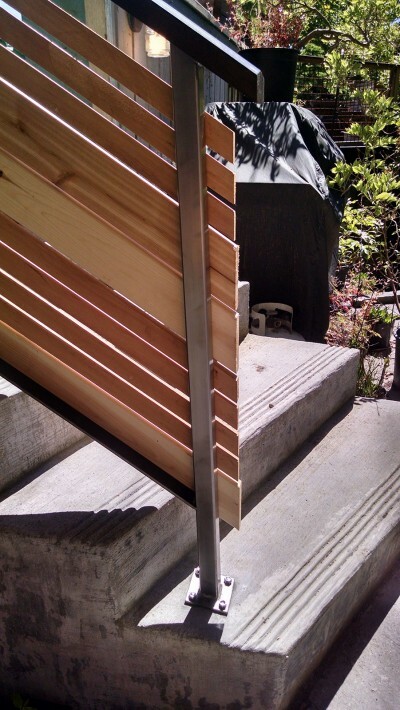 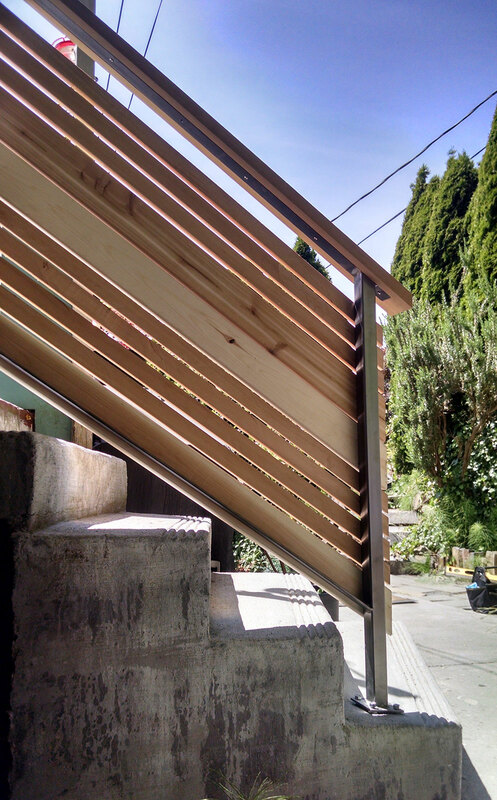 The railing is designed to match the rain screen that Smith and Hammer is installing on the house. 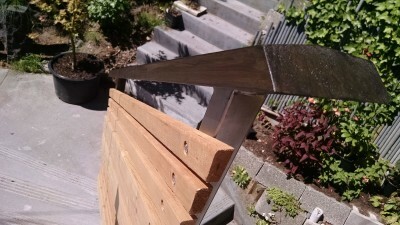 This will be one of 3-4 railings that will be installed on the premises. 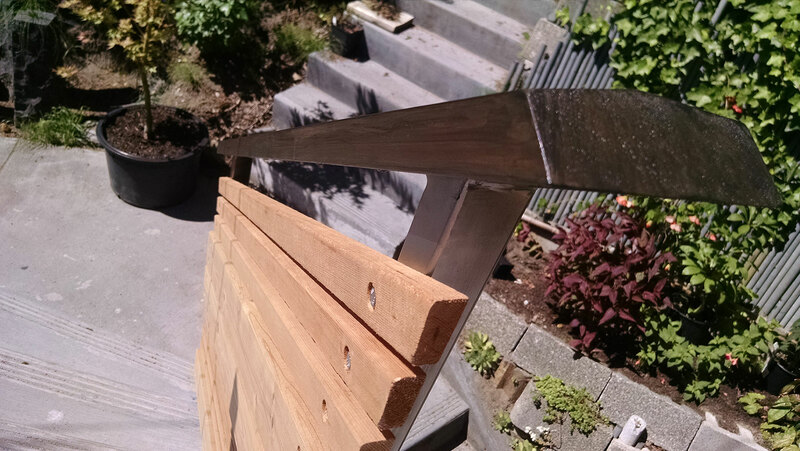 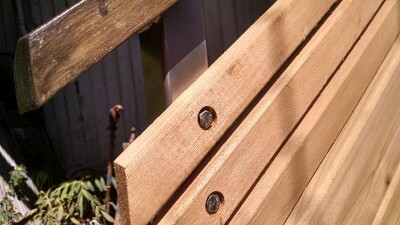 Filed under Metal, Railing, Wood.